production of precision casting is 5,000MT. Our company can produce 5g to the 200kg carbon steel, alloy steel, stainless steel and different material quality precision casting. 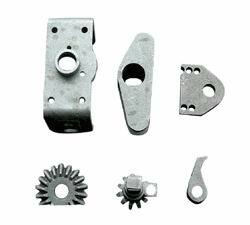 We mainly produce power tool series components, electric appliance switch connection components, the special-purpose tool and cabinet components, sports equipment and anti-rub components, automobile fitting, valve and valve body, other mechanical product components and so on. We are certified by the ISO 9001:2000 quality system and offer products with good quality and at competitive price. Company Name: Quzhou Donggang Machinery Manufacture Co., Ltd.